It’s thought that the concept of a dessert bar is largely an American invention, and is especially popular in the Midwest. So if you haven’t made a batch of decadent chocolate bars or bright lemon bars, now is the time. 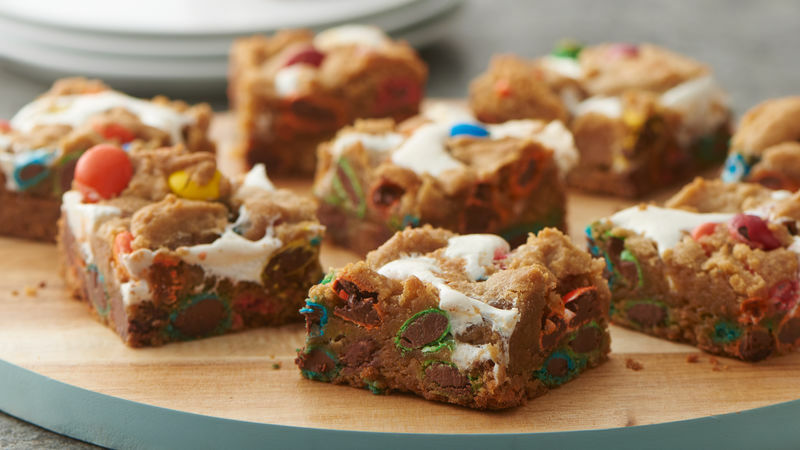 Though the traditional way to cut and serve bars is by cutting them into uniform squares, you can easily fancy up any dessert bar with some creative slice ‘n serve techniques. First, whatever shape you decide to cut your bars in, make sure you line the pan with aluminum foil with some extra foil hanging over the sides. This way, you can lift the foil up and place the bars on a cutting board to slice easily. If you want to cut your bars into perfect squares or rectangles, grab a ruler to help make your measurements uniform and make score marks on the bars before cutting through with a knife. You can also cut your bars into triangles for smaller bites that serve a big crowd. Do this by cutting your bars into squares and then cutting each square in half diagonally.